Capture the Christmas spirit with this beautifully designed quilted throw. 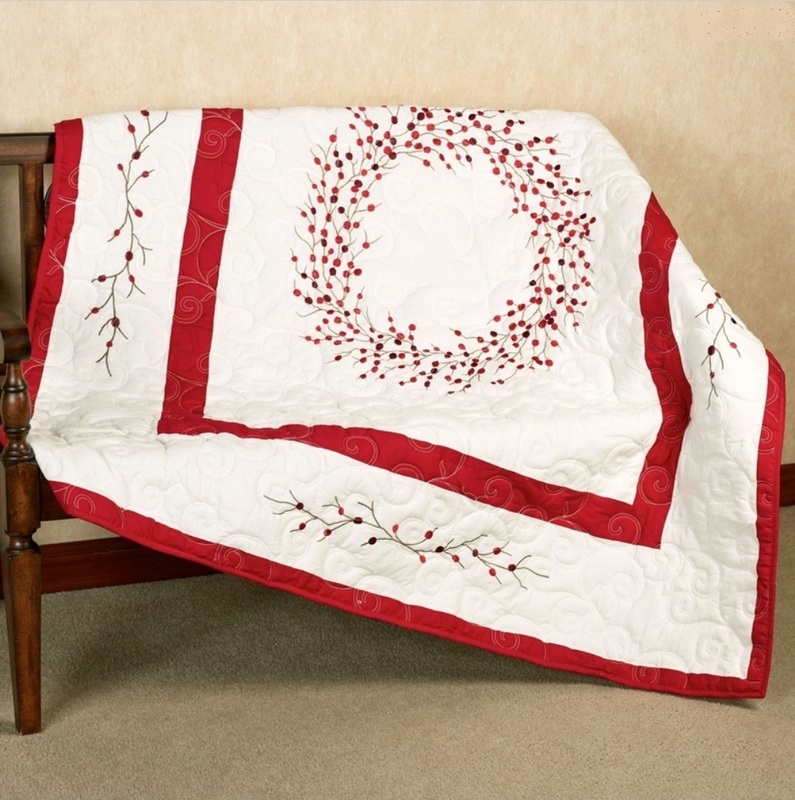 This holiday throw features an embroidered berry wreath center in red and green on an off-white swirl stitched background that resembles blowing snow, and framed with embroidered berries on vines along the edges, and trimmed with red borders. 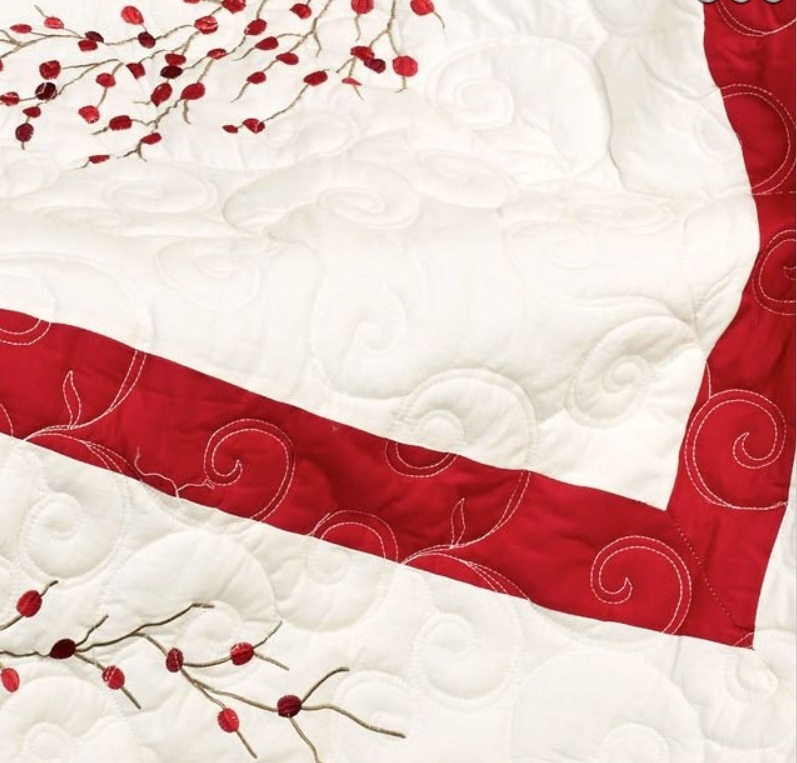 Reverses to the off-white swirl pattern displayed on the front. This will be a beautiful accent to your holiday home.